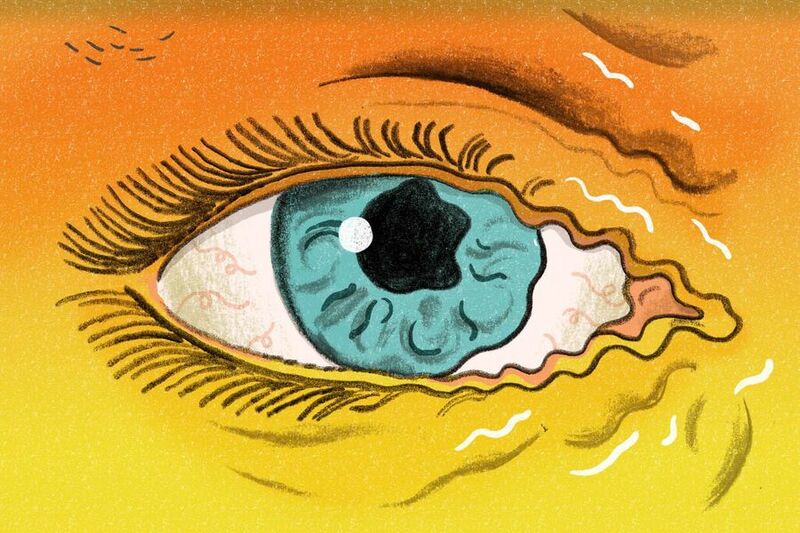 A slight tremor of the eyelid—the type that shows up without warning but scrams just as suddenly—is usually no cause for concern, explains Dr. Wayne Cornblath, a professor of ophthalmology at the University of Michigan’s Kellogg Eye Center. “I think everybody has these once in a while,” Cornblath says. “You rub it, and it eventually stops.” He’s talking about the kind of whispery muscle spasm that happens in one eyelid (or just a portion of the lid, to be precise). It can be a nuisance, but it usually goes away on its own within a few days, if not a few minutes. To get rid of eye twitches, you might want to cut back on the caffeine. Too much of it seems to be a trigger, says Cornblath. While the exact mechanisms are a bit of a mystery, research from York University in Canada has shown that caffeine prompts the release of excitatory neurotransmitters like serotonin and noradrenaline. “Caffeine is a stimulant, and it increases reactivity within the muscles and nerves,” Cornblath explains. That may go some way toward explaining how caffeine causes occasional bouts of eyelid quivering, he says.Getting too little sleep also seems to have an effect, though the reasons why are less clear. “Research has shown a correlation, and we know that getting more sleep can help, but we don’t know why,” Cornblath says. The same can be said for muscle spasms in general, which are quite common but confound explanation. “You hear about low potassium or dehydration, but there doesn’t seem to be much hard evidence,” Cornblath says. Stress may also play a role, says Dr. Rebecca Taylor, a clinical spokesperson for the American Academy of Ophthalmology. When you’re frazzled, you produce more epinephrine—a fight-of-flight molecule that primes your body for action. This heightened state of muscle arousal may manifest itself in small contractions or spasms, like the one in your eyelid, Taylor says. In rare cases, when people address these sleep and stress issues and the twitch persists, Cornblath says a single treatment of Botox resolves the problem. Botox temporarily “shuts off” the connection between muscles and nerves, he explains. Eyelid spasms are usually benign. But that’s not necessarily the case if the twitch spreads, Cornblath and Taylor both say. “If you’re experiencing spasms lower in your face or neck, that’s another story,” Cornblath says.